Attention: This particular WASHLET has been replaced and is being phased out by the WASHLET S550e. The S350e is still a great option, and it's still for sale (for now), so this may be the best choice for you. 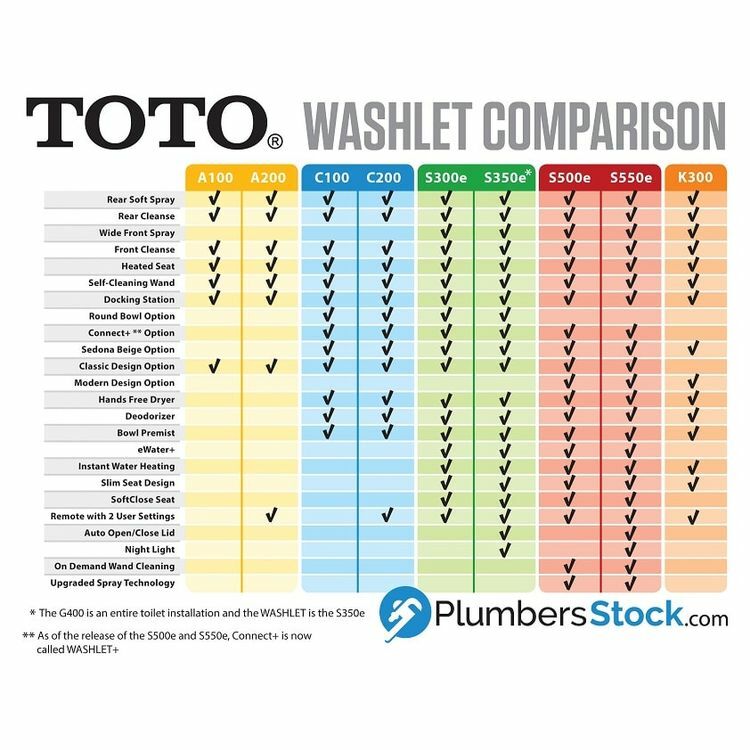 The TOTO Connect+ WASHLET S350E SW584T20#01 is designed to be used with the Connect+ Concealed WASHLET kit. This includes a specially designed toilet which conceals the WASHLET's power cord and water supply hose for a seamless installation that compliments your bathroom's décor. This model features ewater+ (see smart fact below). This WASHLET sold only as a part of a Connect+ Concealed WASHLET Kit. 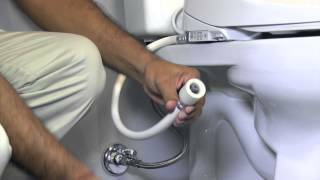 What's new with the WASHLET S350e? Comparing them to older models, the S350e comes with all the features the C200 offered plus a wide front spray feature, a SoftClose seat, as well as eWater+ (electrolyzed water), which will help you to easily maintain a cleaner bowl. Last, but not least, we have the auto-open/close lid feature and a night light, which customers love! 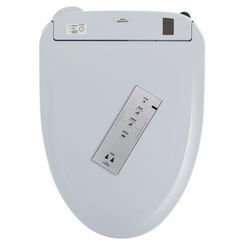 Enjoy maximum comfort and cleaner personal hygiene with TOTO's S350E compact, slim seat in spotless cotton white. 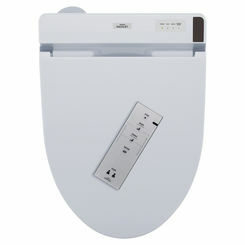 It's designed for mounting on an elongated bowl using the included docking station, which is easy to install and clean. 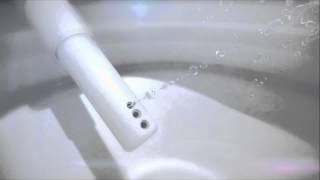 This WASHLET offers a variety of advanced features that you've come to expect, such as five spray settings, like Gentle Aerated and Warm Water, and controls for adjusting the temperature (86-104 degrees F), and the flow rate. 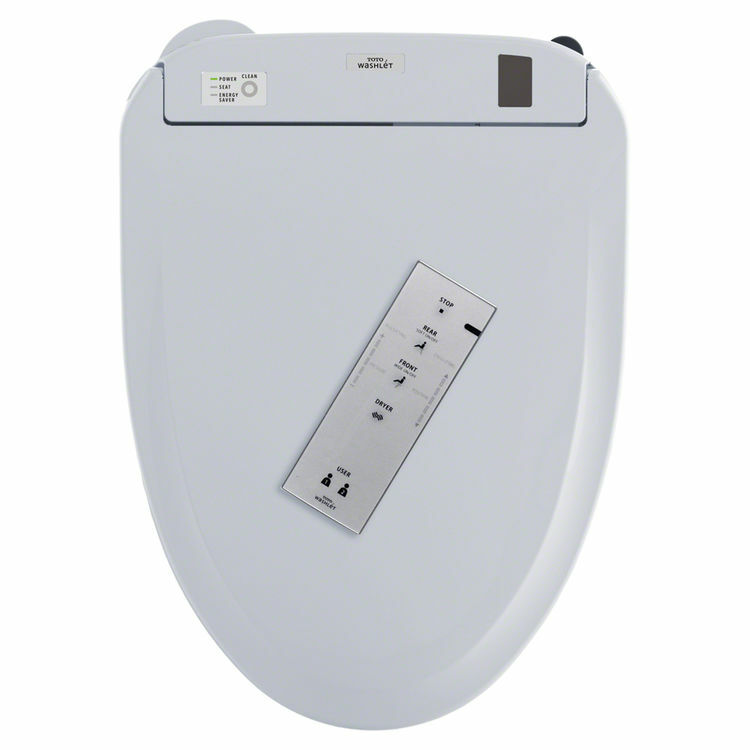 The WASHLET S350E also has a heated seat with temperature control, an automatic air deodorizer, a hands-free and temperature-adjustable warm air dryer, remote control with an illuminated touch pad and magnetic wall-mounted cradle, and two-user memory. Don't forget about pre-mist functionality, where water spray drips into the bowl before it is used, which helps to remove waste 80% better than a dry bowl. The TOTO WASHLET S350e seat is backed by a 1-year limited warranty. If you are having trouble deciding which WASHLET is best for you, try this WASHLET comparison guide. 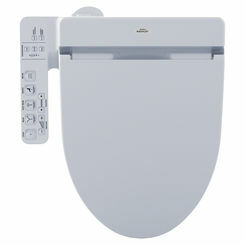 Or just check out all of our other TOTO WASHLETS, there are even units with integrated toilets. 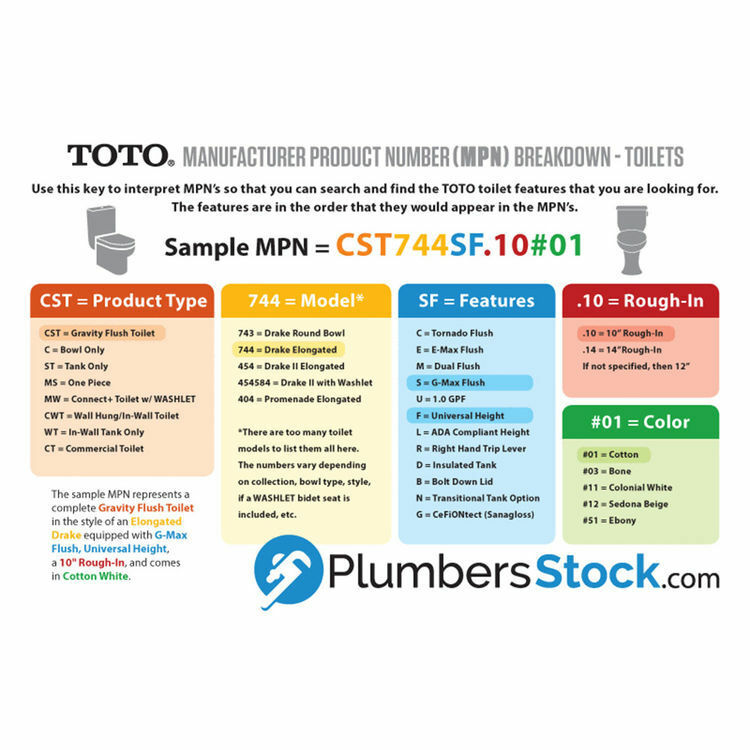 Rated 5 by William S.
My wife is in LOVE with our new Toto Washlet seat. It is SO much better than the generic brands in local hardware stores. All the features and controls and options are great. I installed it myself on Christmas morning as a surprise. They were great with service and the delivery came on time without a delay. Rated 5 by John R.
Rated 5 by Carol S.